Files with aad file extension are mostly plugins for Audible Software. What is aad file? How to open aad files? The aad file extension is mainly related to Amazon Audible a distribution platform of spoken information and used for files that contain downloaded plugins. Used to add new features or support. 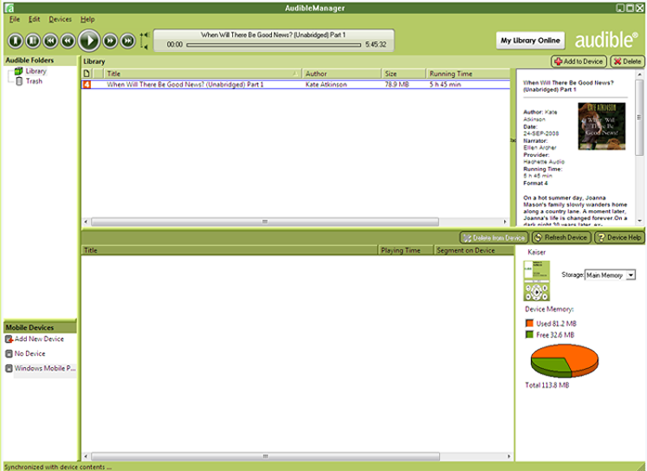 Audible Manager is media player and managing software for Audible audio books and audio content. You can import these files to Audible Software. and possible program actions that can be done with the file: like open aad file, edit aad file, convert aad file, view aad file, play aad file etc. (if exist software for corresponding action in File-Extensions.org's database). Programs supporting the exension aad on the main platforms Windows, Mac, Linux or mobile. Click on the link to get more information about Audible Manager for import aad file action.